Westinghouse electric generator. This set-up uses magnets in the dynamo to convert mechanical rotary motion into electrical power, generating electricity. 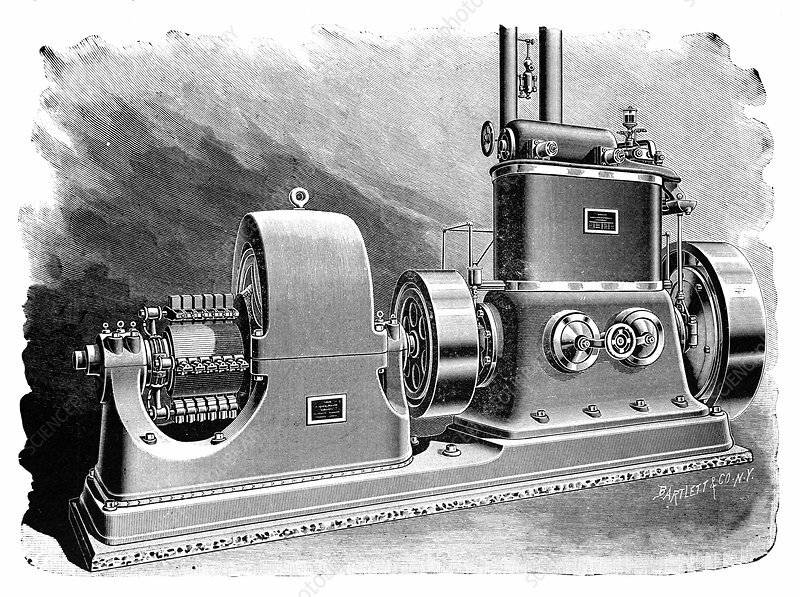 This generator was manufactured by US company Westinghouse Electric, founded in 1886. Artwork from the first volume (1897) of 'La Revue Scientifique et Industrielle' by French chemist and inventor Jules-Louis Breton (1872-1940).